March 3, 2013 The State Security Section at the Federal Supreme Court on Monday, sentenced three Muslim Brotherhood members to prison terms of up to seven years. Mahmoud Abdul Rahman Al Jidah, 52, Qatari, received a jail term of seven years, to be followed by deportation, while Abdul Wahid Hassan Al Badi, 32, and Saeed Abdullah Al Buraimi, both Emiratis, were handed down five years’ jail each, the court presided over by Chief Justice Falah Al Hajiri, ruled. The court also ordered confiscating Dh150, 000 seized from the house of Al Buraimi and other equipment, found to have been used to fulfil the goals of the Muslim Brotherhood. They were convicted of aiding and abetting of Al Islah Organisation, a branch of the Muslim Brotherhood in the UAE, along with collecting funds to support it. Taher Mohammad Ahmad Al Tamimi, 61, Emirati, was acquitted of the charges. The court’s rulings are not subject to appeal. The five-minute hearing, which started at 1.45pm, was attended by the Qatari ambassador to the UAE, Fares Al Nuaimi, 12 journalists and five representatives of the NGOs and 8 of the suspect’s siblings. 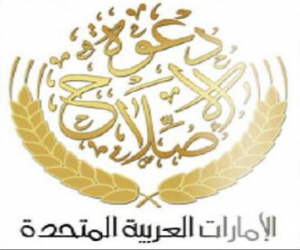 The GMBDW reported in January that thirty men were sentenced to prison on charges of establishing and running a branch of the Muslim Brotherhood in the UAE. The GMBDW reported in November 2013 that UAE had launched a trial of 30 Emiratis and Egyptians charged with setting up an illegal branch of the Muslim Brotherhood. The GMBDW reported in July 2013 that 65 suspects charged by the UAE authorities on similar charges of setting up an illegal branch of Egypt’s Muslim Brotherhood had received sentences of up to 15 years. A post from June 2013 reported that 30 Egyptians and Emiratis had been charged in connection with that case. In January 2013, the UAE announced that it would try 94 people on charges of trying to seize power in that country. April 13, 2013 Abu Dhabi: While the Muslim Brotherhood enjoyed a lot of freedom and influence in the early 1960s and 1970s, its popularity was dealt a sharp blow in the 1990s after the government became highly suspicious of its alternative motives. The Muslim Brotherhood’s ‘conspiracy against the UAE’ goes back to the late 1960s and early 1970s, an Emirati analyst said. During those years, ‘the global movement of the Brotherhood decided to invade the UAE and other Gulf states, through recruiting students who studied abroad. Those students operated secretly through front organisations like mafia-style gangs, money-laundering and espionage rings,’ Dr Ali Salem Humaid, chairman of the Al Mezmaah Centre for Studies and Research, a Dubai-based think-tank, told Gulf News. Dr Humaid added that the Brotherhood’s cell in the UAE influenced the country’s education and judiciary until its political society Jammiyat Al Islah, was dissolved in 1994. Mansour Al Nuqaidan, a Saudi writer, quoted Mohammad Bin Ali Al Mansouri, a former member of the Islah Society’s board, as saying that the Islah had been dissolved after a complaint from Egypt that it provided financial support to Al Jihad militant group, which was affiliated with the Muslim Brotherhood and was involved in terrorist acts. Most members of the movement are recruited during high school or college years and, in many cases, serve in top administrative positions within the Brotherhood’s nationwide structure before being promoted to the Guidance Office, the organisation’s top executive authority. Egyptian journalist Abdel Latif el-Menawy published an article titled “From Refuge To Rebellion, The Gulf’s Muslim Brotherhood” that looks at the history of the Muslim Brotherhood in the Gulf countries and its relationship to the Egyptian organization. The New York Times reported in January 3013 on the continuing conflict between the United Arab Emirates (UAE) and the Egyptian Muslim Brotherhood. Our predecessor publication extensively covered the ongoing developments concerning the Muslim Brotherhood in the Gulf countries.